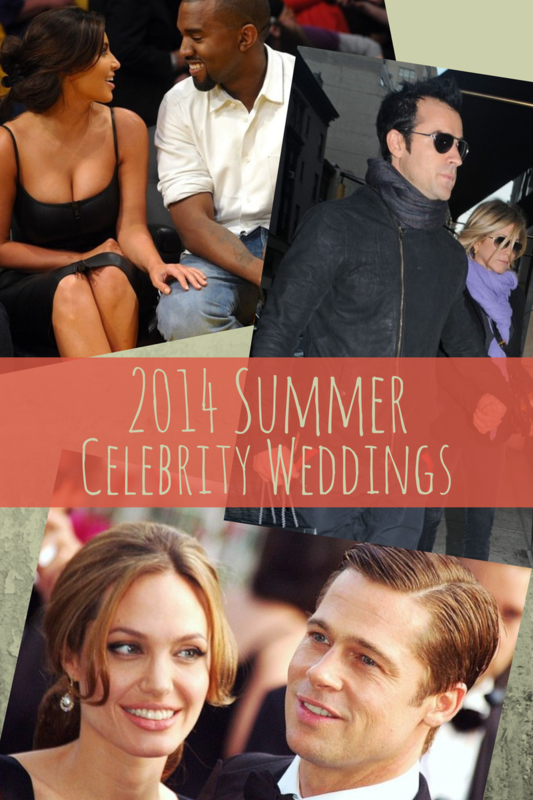 Summer is the season of weddings, and this is no different in Hollywood. With a few weddings having already taken place this year, there are more to look forward to. Take a look at some of the anticipated Hollywood weddings that could take place this summer, or sometime very soon. Each of these weddings, while more extravagant than most, have elements and ideas that can be incorporated into your own summer wedding. At the end of May, Kim Kardashian and Kanye West tied the knot in Florence, Italy, in a grand wedding ceremony. This event had been talked about since their baby North was born a little over a year ago. The pair put together a great deal of time and effort making everything perfect from the actual ceremony, and even after with documenting it. Before putting the photo of their first kiss as husband and wife on social media sites, the couple spent four days editing everything from the wedding dress to every last flower. The end result has been shared all across the internet, making this one of the most watched for celebrity weddings of 2014. Since they first got together, Brad and Angelina have been watched, waiting for when their wedding day will come. While they have not announced a specific date or time, there is a good chance the two will be tying the knot this year, maybe even this summer. Brad has stated that it will soon happen. We predict that their wedding will take place somewhere secluded from the paparazzi in a small backyard ceremony. Rather than making the event publicized as Kim and Kanye did, many suspect them to one day appear in public with their bands without a big show. When Brad and Jennifer’s relationship fell apart in 2005, many fans with “Team Jen” shirts waited the day when Jen Aniston would once again find love. Since August of 2012, she has been engaged to actor Justin Theroux. While the couple has been engaged for almost two years now, they have both stated that this could be the summer they tie the knot, so long as both their schedules allow time for it. As Aniston spends a great deal of time doing transcendental meditation and yoga, we predict her wedding will be a simple beach event complete with a French Ivory Arch surrounded by those she loves. While only one one of these weddings have taken place, there are still many more to come. Look for these big stars to exchange vows soon. While most of these weddings will be far more extravagant than anything most of us will ever be able to afford, there are elements that can be taken from each of them and incorporate into your own.